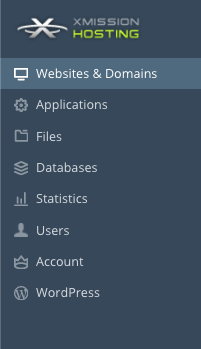 You can create additional subdomains for use with any domains in your Shared Hosting account. First, ensure you are logged into your account at http://hosting.xmission.com. Near the bottom of the screen, click the "Add New Subdomain" button. On this screen, you will need to enter the following highlighted pieces of information. A brief description of each follows the image. Subdomain name: This is the name of your new subdomain. In this example, we would be adding the subdomain "dev" which in this case would translate to "dev.stmyl.com"
Document root: This is the folder where you will build your new website. In this example, we have used "dev.stmyl.com"
Please note: It is highly recommended you create folders within the "/subdomains" directory to ensure your subdomain works correctly. Once you've entered the correct information for your new domain, simply click "OK." You will see the following text indicating your new domain has been created successfully! 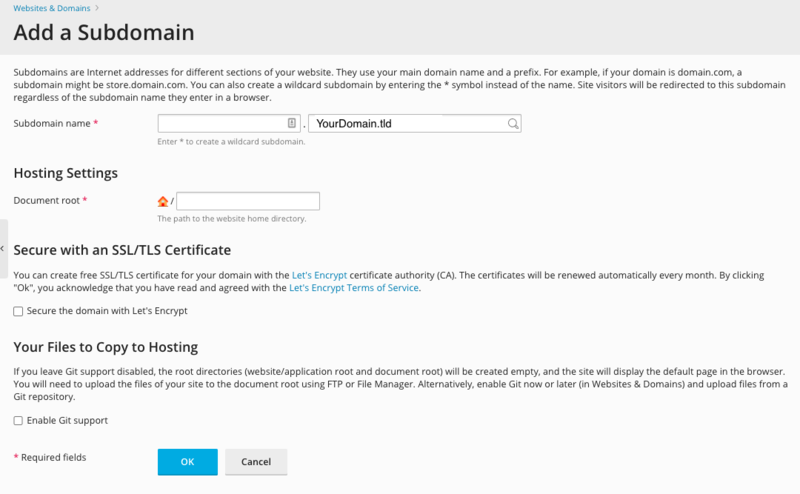 You can now create separate and independent records for your subdomain. This page was last modified on 11 August 2016, at 10:41.